***Note: Only the first printing of this book will contain the promo trading cards. Any orders made after the item becomes available to stock may not contain the cards as the promo editions may sell out on prebook. Retailers are encourage to order early to ensure they receive this product in a timely manner. In New Domino City, the hottest game in town is the Turbo Duel, fought from blazingly fast motorcycles called Duel Runners. 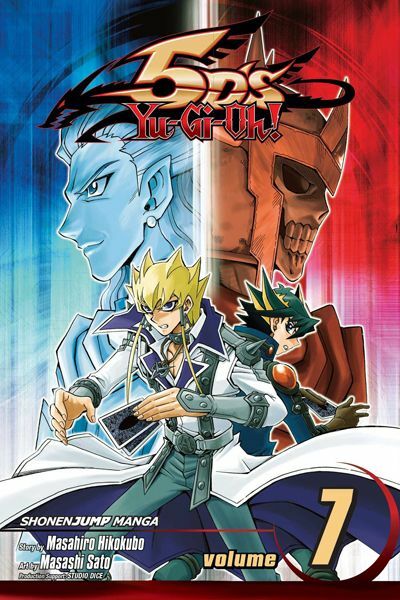 On the outskirts of New Domino City, in a district known as Satellite, a new Turbo Duel hero emerges--Yusei Fudo! On his custom-built Duel Runner, Yusei takes on all challengers, fighting for his friends and the future of Satellite! Rex Goodwin and Jack Atlas reach the end of their epic duel, and Goodwin demonstrates his ancient power. Elsewhere, Crow Hogan has released the other Duelists sealed by Lazar, but it's too late for them to go to Yusei's aid now. High in Aerial Fortress Seibal, Yusei battles the Skeleton Knight to reach Sect...!